(Money magazine) -- Recent price wars and innovations by brokerages benefit not just day traders but also buy-and-hold investors. Go to FolioInvesting.com. It offers dozens of premixed portfolios that contain up to 100 stocks each, such as Moderate (holdings include blue chips Comcast (CMCSA, Fortune 500) and Humana (HUM, Fortune 500)) and Dividend Yield (Abbott Labs (ABT, Fortune 500), 3M (MMM, Fortune 500)). Caveat: Transactions are processed just twice a day. Time it takes: Maybe five minutes. How much it costs: The flat-fee plan runs $290 a year for unlimited stock trading. 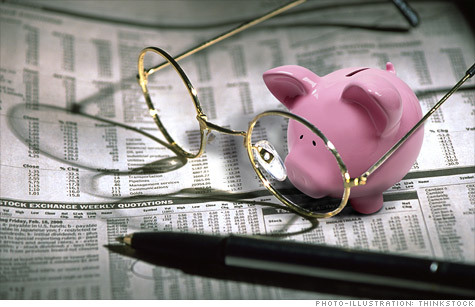 0:00 / 1:15 Savings, stocks, bonds: What's your safest bet? Time it takes: Roughly 10 minutes. How much it costs: Sharebuilder's Advantage plan gives you 12 automatic investments for $12 a month; additional such investments are $1 each; other trades run $7.95. Time it takes: How much time have you got? How much it costs: $7.95 per online trade.